Many larger or luxury and 5 star properties have rigid customer service standards that are made primarily possible by having appropriate staffing. The guest to staff ratios on these properties help to ensure that the staff has ample time to address each guest’s request or needs without losing the quality of the service. Unfortunately in smaller hotels, it isn’t economical to staff the same way, even though the service expectations do not change. This limitation in staff can compound the difficult when the lines start to form and the phone won’t stop ringing. In smaller independent hotels, staffing may be kept on a lower level to reduce costs, but with this comes the risk of overwhelming the staff when things get busy. When rushing, mistakes are made and quality of service can decrease along with guest satisfaction. Other than hiring more people, what can be done to help improve these situations? When new staff members are hired, the standard training procedures seem to always focus around the basics. Normal check in and out procedures and policies, but everything is done at a rather leisurely pace as to not overwhelm or scare off new hires. Once they have a handle on this, the training usually stops and they begin working with guests. When the lines form and stress levels grow, these new clerks just have to struggle through it and hope for the best. These situations need to be addressed in training as well. Include a sort of time trial into the training process. Create 10-15 customer reservations and see how many they can enter correctly in 10 minutes. Gradually decrease the time as their speed improves. Once they are entered into the PMS do the same test, but with checking them in, then again with checking them out. Building this level of competency at the daily tasks will increase employee competency and help reduce wait times when things get busy. They can still focus on providing quality customer service, but now they can combine it with an efficient process. Many negative guest reviews come from long waits at check in or check out, but rarely are they ever about service being too quick. 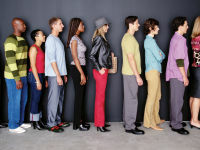 When a guest arrives at the lobby and sees a long line with only one or two people behind the desk, they expect a long wait and often prepare themselves for frustration. When they see those clerks moving through the line efficiently, they will be amazed at the positive response from the guests and their reviews.